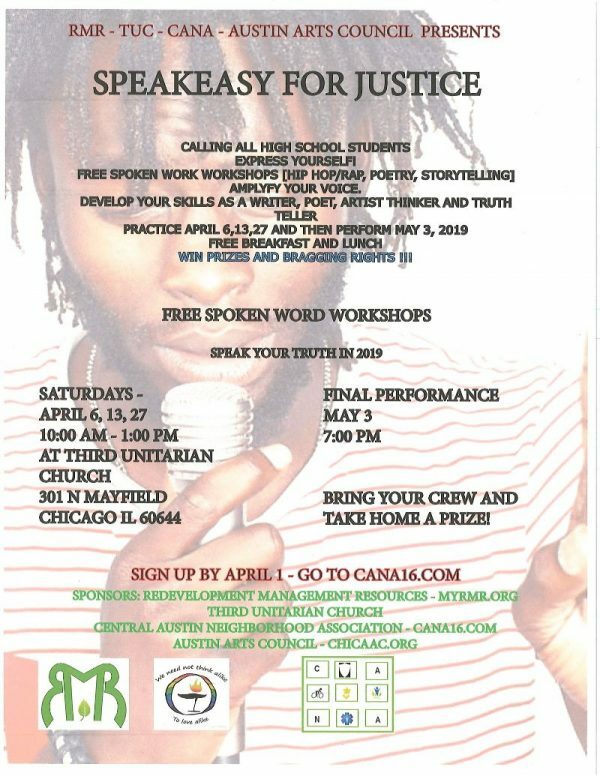 Teens will be able to develop their skills as writers, poets, artists and storytellers on April 6, 13 and 27, with a performance scheduled for May 3. The events will be held at Third Unitarian Church, 301 N. Mayfield, from 10 a.m. to 1 p.m. (April dates) and 7 p.m. on May 3. Food will be served, and prizes will be awarded. “It’s to allow them to have an outlet to express themselves,” said Serethea Reid, the founder of Central Austin Neighborhood Association (CANA), which is one of the sponsors. “Art can be a way to give light to issues as well as think about actions you might take … It’s a way to inform people about what you’re concerned about,” Reid said, adding she wants youth to realize their personal power and their ability to have an impact on others. Other sponsors include Redevelopment Management Resources, Third Unitarian Church and the Austin Arts Council.